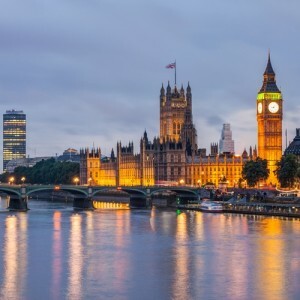 London, UK Colocation Data Centers: Buyer's Market? London, UK Colocation Data Centers: Buyer’s Market? The London, UK data center market is a key hub to EU markets and critical to financial and cloud deployments for the region. The market is one of the largest in the world with 346 MW of critical load supply, and plenty of inventory to sell. The market is essentially recovering from a mild case of oversupply and unique market dynamics. The recovery seems to be progressing well and expectations are that although it is still a buyer’s market, that could be changing in the not too distant future. London has dozens of reputable global providers in the market. What we’ve seen across many markets is that most providers are becoming more sophisticated about their deal underwriting and capex/infrastructure deployment. The data center industry is simply too expensive and risky to allow price erosion to turn the business into a low-margin commodity. In London the market has for the most part been timid about growth until supply is in balance, and if we’re not there yet we are very close. There is some new inventory coming online with very appealing technology and highly connected. Price and availability dynamics are constantly changing in a market like London, so we advise clients to start research early and understand all the best options for your needs. The market includes close to 30 primary providers with 70+ locations. London is much like an extension to the U.S. market, so there’s no need to settle for a default provider choice as there are plenty of reputable options in the market, many with extensive global reach. At this time rates are very competitive, and connectivity to EU and globally is very concentrated. If you are seeking infrastructure in the UK, please let us know and we’re happy to provide additional insight for this market. WiredRE has deep experience in the market and has represented multiple clients and service providers in London and surrounding EU, US, and APAC markets. Contact us at info@wiredre.com.